The Soul Stone provides protection against Psychic Attack from others. It will also shield you from self-sabotaging negative thoughts. Working with Tangerine Quartz during meditation or when used as a tool to focus your thoughts, it will boost manifestation from the Realm of Spirit into physical form. It activates the flow of creativity, encouraging you to release self-made limiting beliefs of worthiness to have all you desire and more. Beginning at the cellular level, it can become a multi-dimensional healer for anyone who wishes to release all that no longer serves their highest and best good, their Life’s Purpose. During such a cleansing release, the Auric and Ethereal energy bodies release all that is mirrored in the physical, emotional and mental energy bodies. Tangerine Quartz resonates with the Solar Plexus Chakra the energy center of self-empowerment, self-esteem, discernment and manifestation. It also resonates with the Sacral Chakra because if its deep earthy-orange color. The Sacral Chakra is the energy center for relationships, connection with emotionally and physically. *Angelic Realm Association: Archangel Uriel, whose name means, Fire of God, will assist you in manifesting all you desire and more, creating your reality as you choose it to be. It has the capability of cutting through the shadows or smoke, clearing your inner-sight allowing clarity and discernment along the path before you. This Soul Stone is magical as it weaves its unique vibrational frequency within and around you, protecting you from the negative energy thoughts of others. 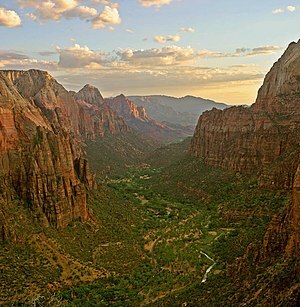 Past-life issues may arise as you continue to walk the path before you, expanding your sense of conscious awareness. 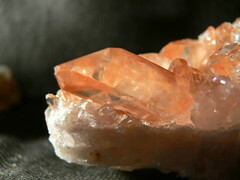 This seemingly demure orange crystal will assist you in healing issues from days long since gone. Discover how to disintegrate self-sabotaging beliefs, self-made boundaries, freeing you to reflect your true nature, your inner-essence of wholeness in body mind and Spirit. The color violet is most often associated with healing, healers and our connection to Divine Source Energy. Sugilite is among the many stones known as the Healer’s Stone, Stone of Unconditional Love and Self-Forgiveness. It symbolizes the highest ray of light, violet, purple and violet-red. These colors disintegrate all lower negative energies within and around us. Sugilite represents the powerful link between the mind and the physical body whose purpose is to establish conscious control over our mental thought processes. Being able to manage, not control but manage our thought processes, our mental faculties enables the healing power of the Cosmos to flow into and through our physical bodies balancing the physical with Ethereal Energy. This is a very powerful stone or mineral which has been gifted to us by Earth Mother since the early 1980’s. It can be placed on the Third Eye Chakra to soothe, cleanse, balance and align your inner sight with your outer sight. It will enable you to see beyond physical realm limitations. The Stone of Higher Consciousness resonates with the Crown Chakra, Third Eye and the 8th Chakra located just above the Crown. Working with Sugilite or Luvulite as it is also known, during mediation will create and prepare within the physical body a channel to receive massive amounts of healing energy, radiating in all directions of time and space on all levels in the same moment. For the empathic healer and all who are highly Clairsentient, it will assist you in balancing your emotions and all you sense, bringing you back into alignment with your true Self. Luvulite carries with it messages from Angels to Earthly realm of physical matter. It will assist you with integrating that which is before you with all that is now behind you. 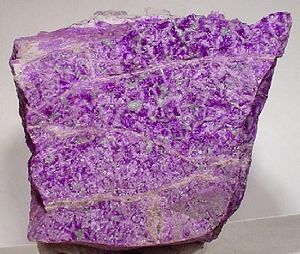 This high energy mineral stone of the violet ray dispelling self-doubt, enabling the user to channel and radiate the power of the violet-red light energy frequency. *Angelic Realm Association: Vihianna, Angel of the Purple Ray, will assist all who ask, in working with their Crown Chakra, expanding your sense of conscious awareness and Spiritual expansion. To simply gaze or focus on a piece of Sugilite often soothes my Soul. I can literally feel and sense my physical body release all it carries within allowing me to re-center, re-align all my energy bodies with Divine Source Energy. This special crystal is also known as Tanzine or as Indigo Quartz vibrates on a much higher Spiritual plane of level of awareness. It encourages communication with the Soul, your Higher Consciousness, and heightens your awareness of the Ethereal Realm. Tanzan Aura Draws cosmic energy into the physical body, channeling very high vibrations through all who work with this mystical quartz crystal. It enables the user to channel excess energy into Earth Mother for transformation and ultimately, transmutation into the light of Divine Source. The more you work with Indigo Quartz, the more it assists you in bringing clarity to your visions. It will aid you with dream interpretation enabling you to connect with your inner Self at deeper levels than you may have experienced before you began working with this crystal. Star, the Chakra energy center located just about the Crown Chakra. Tanzine assists with developing Intuitive abilities, strengthening and encouraging self-confidence in messages received. It also sustains multi-dimensional allowing the user to balance being in both the physical realm and the Realm of Spirit, expanding conscious awareness seeing beyond that which is directly in front of you. *Angelic Realm Association: Ophaniel, Angel of the Moon, is thee Angel of intuition, Divine Order, Transformation, cycles of change and Ophaniel, when asked, will assist you in regaining your inner balance with that which is occurring within and around you. Tanzan Aura Quartz is Clear Quartz bonded with Indium, a rare mineral, Gold and Niobium, a blue-violet color and powerfully subtle energy frequency. As with all stones and crystals of the blue ray, it will assist you with communication, speaking your truth, soothing calming the senses, instilling a sense of peacefulness and harmony within radiating outward from you inner essence of truth and beauty, love and light. It will encourage you to open your Third Eye, restoring sight as you seek answers to your life’s purpose, gaining clarity and the courage to forward along you path. If you seek to “explore” other dimensions, other realms, Tanzan Aura Quartz is your gateway to astral projection along the many corridors of the Milky Way and other Star Galaxies. Celestial Blue by any other name is that of Aqua Aura, the sky, the ocean and of waterfalls. Blue is soothing, calming, emotion and it is a symbol of Spirituality. The color blue calms the Spirit, soothes the Soul. The sound of a gurgling stream, waves gently rocking the shore with their rhythmic song is music to my restless Soul. As with all symbols, all crystals and minerals which vibrate with the Blue Ray, this is a crystal to assist you in awakening your inner Spirit. It will assist you with communicating your truth, dissolving blockages in your Throat Chakra, allowing you to speak more kindly expressing love and light. 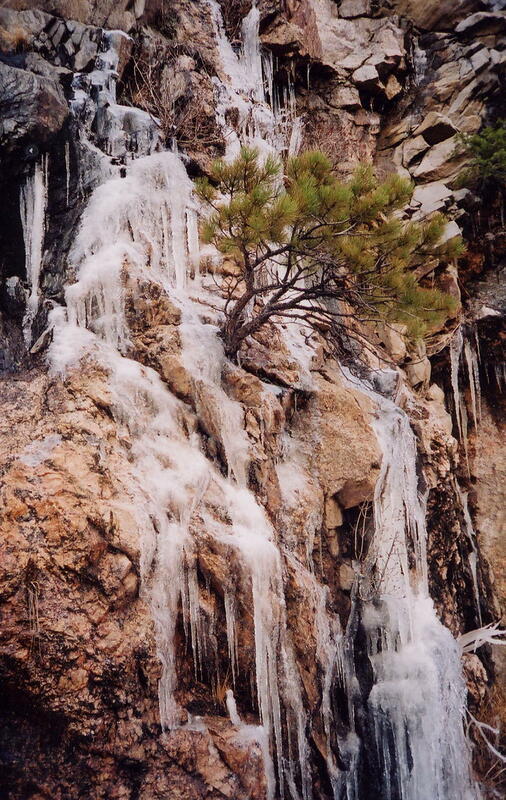 Aqua Aura draws you in moment by moment, assisting you in releasing fear of the unknown. It offers protection from the mindful negativity of others, dissolving the negativity within allowing you to open your heart to the Realm of Spirit. This clear quartz crystalline form which is bonded with Gold, transforms its naturally high vibrational frequency, resonating with the Crown, Third Eye and Throat Chakras. If you are willing to release that which has caused you harm in any way physically, emotionally or Spiritually, this delicately hued quartz crystal will gently guide you to experience a state of calm peaceful bliss. It will allow you, if you are willing, to heal your Astral energy body during Astral Projection experiences. Working with this crystal opens another portal, an energy portal of communication and healing unlike any other. How would you use this crystal? Wear near your Throat Chakra, carry it in your pocket, place in on your bedside table, hold it in your hand during meditation. *Angelic Realm Association: Anpiel, Angel of the Sky, will assist you in grounding excess energy, calming emotions, expanding your Spiritual Awareness. Do you seek clarity with or about your Life’s Purpose? Working with Aqua Aura will assist you during meditation, gifting you with insight, clarity and peace along the journey before you. As with all things, all things worth doing, if you are willing to do the work, the work will provide benefits beyond your imagination. There is no area of your life or your energy bodies that will be left unaffected by the subtle, yet profound shifting of energy as you work with Aqua Aura. The Angelic Realm is ever present. Angels are all around us every moment, in all situations and experiences. We must ask Angels to assist us; they eagerly await your request. Remember, no request is to great or too small. No request is more important than another, these are physical realm concepts. Once you have requested guidance or assistance, be open to receiving that which you have asked. If in doubt, ask for validation or clarification of what you are receiving. Angel Aura quartz shimmers in the light. Its subtle vibration is very powerful, allowing us to reach through the veil of forgetfulness into the Realm of Angels, the Realm of Spirit. Should choose to work with this unique Quartz crystal, it will heighten your meditation experiences, deepening your connection with Angels. It will protect you from unwanted negative energy both around and within you. Holding, carrying or wearing Angel Aura Quartz will instill within a sense of peacefulness, encouraging you to project a sense of harmony which emanates deep within your core, your true Self. It resonates with the Crown Chakra and the 8th Chakra, located just above the Crown Chakra. It also resonates with the Heart Chakra as Angels are unconditional love, total acceptance of all things and everyone. The uniqueness of this Quartz Crystal is the bonding of beautiful, Clear Quartz with Platinum and Silver producing a shimmering much like what we imagine Angel’s Wings to look like. This shimmering surface often reminds me of the Moon when it is full in the skies above. Channel higher knowledge; access past lives; go beyond the limitations of the physical realm and deepens meditation experiences. *Angelic Realm Association: Aurora Angel of Crystals will assist you, when asked, in connecting with Divine Source Energy, the Realm of Angels, the Realm of Spirit, and your inner essence. Angel Aura, as it names implies, activates awareness, a conscious awareness to our inner source of light and to that of the Spiritual Realm filled with sentient Beings of light and love. There are Angels among us in many forms, physical, Ethereal and at in the beauty of nature all around us. Use this delightfully human-enhanced crystalline jewel to align your Chakras both physical and Ethereal. Be open to your own unique experiences, should you choose to work with this remarkable crystal. The Jewel of Wisdom is a wonderful, naturally occurring combination of Azurite and Malachite. Both minerals gift us all with their own unique qualities of healing, discernment, wisdom and calming the Spirit. When combined, each integrates with the other creating its own unique energy frequency, its signature vibration. 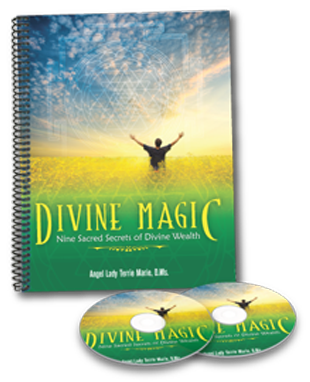 One gift to be treasured is enhanced communication between the physical and Spiritual Realms, enabling all who choose to work with this incredible duo, an expanded sense of conscious awareness. Another gift is its extraordinary healing power, interlacing and integrating your upper or Spiritual Realm Chakra energy centers one with the other. Azurite-Malachite resonates with the Heart, Third Eye, Throat and Crown Chakras. In working with the Heart Chakra, it assists in releasing past emotional trauma no matter the origin. The Throat Chakra is opened more fully, enabling you to clear any blockages caused by not being able to speak your truth. The Crown Chakra is our direct connection with the Realm of Spirit, enabling all who choose, to reach through the Veil of Forgetfulness, remembering our Life’s Purpose. The Third Eye, our Chakra of sight and seeing, clears the pathway to recognizing our inner essence, guiding us along the journey we chose long ago. Ancient Egyptians used Azurite to heighten Spiritual communication with their Gods and Goddesses, soothing the Soul along its physical realm journey. They also used the power of malachite to effect great change within their physical bodies, healing at the cellular level. *Angelic Realm Association: Archangel Gabriel, whose name means, Messenger of God, will assist you in speaking your wisdom with truth and integrity. Archangel Raphael, whose name means, God Heals, will assist you in reaching through the fear of what is now behind you, seeing beyond surface appearances, healing on all levels. 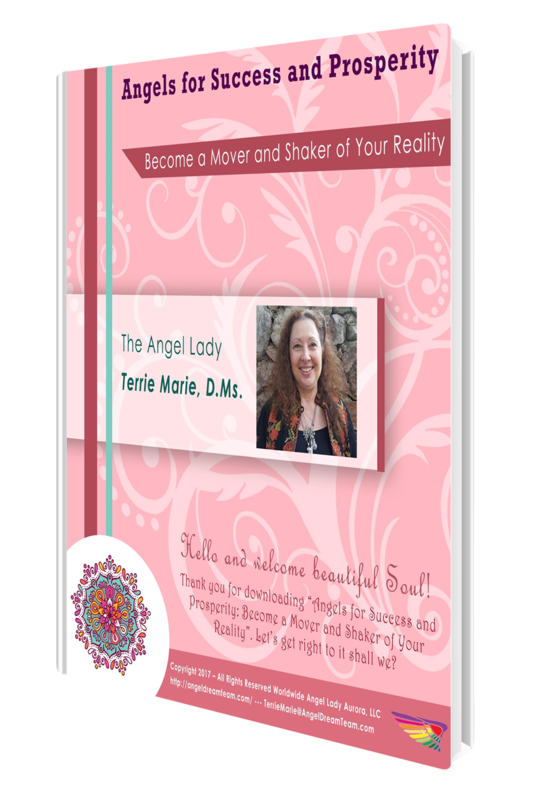 Archangel Taharial, whose name means, Purity of God, will assist you in knowing and accepting your true self, the Spark of Divinity within. If you seek to open, cleanse, or expand your Third Eye, working with this incredible duo of malachite and Azurite will, when worked with consistently, open your inner forms of communication with the Realm of Spirit in ways you have yet to imagine! This stone is very powerful, yet it is subtle in the way it transmits or flows energy through you, weaving its magical properties of wisdom, healing and communication. There is no part of your core essence, your physical body or your Ethereal energy body that will be left untouched. Many of us wonder if there is or if we will ever meet our Soul Mates in this lifetime. For many who have and are with their Soul Mates, there are questions about “now what” or “is there something more we or I am to be doing with my life?” Watermelon Tourmaline will assist all who seek their Soul Mate. It also assists all paired Soul Mates bringing clarity, emotional healing from past life issues and understanding with greater clarity agreements at the Soul level. Watermelon Tourmaline is a wonderful and unique combination of green, blue and pink Tourmaline. The green hue in Watermelon Tourmaline can be various shades from light to dark. This is an incredibly high-vibration stone or crystal. This incredible crystalline stone will provide clarity to all who seek to understand, seek confirmation and validation that they are indeed following their Life’s Purpose. It will also support you as you seek to deepen your understanding of your Life’s Purpose. Meditating with this powerful crystal will assist you in unlocking the hidden knowledge within. 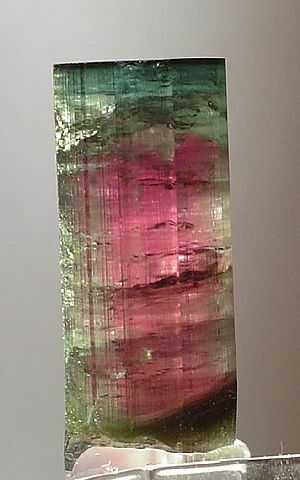 Multi-colored Tourmaline resonates with more than one Chakra energy center, integrating both the Heart and Throat Chakras with each other and subsequently all other Charkas. Green Tourmaline: resonates primarily with the Heart Chakra. It will assist you in aligning your entire physical body. It is capable of balancing all Chakra energy centers simultaneously. This is a very powerful, vibrant stone, to be respected and worked with gradually so as not to over-stimulate your physical body. Green Tourmaline will assist you with Spiritual Expansion, in a subtle yet very deep profound level of understanding and healing. Pink: resonates primarily with the Heart Chakra, love relationships, emotional healing on all levels to include the cellular level in both your physical and Ethereal energy bodies. Pink Tourmaline works with you in releasing heart blockages, allowing love to flow within, through and around you radiating a beautiful, subtle glow to all who cross your path. Blue: resonates primarily with the Throat Chakra, enabling you to speak your truth with loving-kindness, compassion and clarity. Speaking your truth without malice and judgment, accepting you and others is one of many ways to unlock the key within to your higher Self, connecting your more clearly with the Realm of Spirit. *Angelic Realm Association: Aurora, Angel of Crystals, will when asked, assist all who seek emotional healing on all levels beginning with the heart and throat, permeating all Chakra energy centers at the cellular level. Ask Aurora to assist you in seeking or better understanding your Life’s Purpose. Tourmaline is a special gift to all who are attracted to this magical crystal. If you have been gifted with finding or being found by Watermelon Tourmaline, accept its many hidden treasures, gifts of love, prosperity and abundance, discovering your Life’s Purpose. Be willing to trust the many opportunities working with Tourmaline in any form or color combination. The Land of Lemuria is an ancient land filled with light and love for all who walked the land, for all who swam the seas. Ways of peaceful co-existence was the pathway of this ancient civilization. The use of crystals was common place, seeing beyond that which was conjured or manifested into physical form. There were Temples of Healing, sanctuaries for the mind, body and Spirit within all creatures. Lemurian Seed Crystals are said to have been planted by these Ancient Peoples before the destruction of their civilization. These unique crystals appear to have been carved by a human hand as they have horizontal grooves or striations across their naturally faceted faces. Many, although not all, appear to have a reddish-pink color due to a nearly transparent coating of iron oxide. The inside of these remarkable crystals are clear. Brazil is the only place in this realm in which they are found or mined. Each crystal is gifted with being able to connect itself vibrationally with all other Lemurian Seed Crystals. Crystals are known for their innate healing or metaphysical properties, assisting all who are open to exchanging their energy, transforming first within, radiating out light, compassion, love, wisdom and grace. Seed Crystals are the Record keepers of long-lost esoteric secrets, filled with compassionate love for all living creatures. To access the wisdom contained within, begin by first allowing a Lemurian Seed Crystal choose you. Carefully cleanse and charge the crystal in the Sun and Full Moon Light for 2 days and 3 nights. Practice patience as you and your crystals become attuned to one another’s inner vibrational frequencies. Be advised, once you and your crystal have chosen and accepted one another; do not allow another to implant their energies into your crystal by touching or holding it. Mediation, contemplation or holding your Lemurian Seed Crystal will, in time, reveal all it holds within its crystalline structure. If you are open to receive the gifts contained within, honoring all you sense, you will be enlightened in ways you cannot yet perceive. *Angelic Realm Association: The Angel of Crystals, Aurora, will assist you in connecting with crystals, attuning your vibrational frequency to that of the Lemurian Seed Crystal. These incredible gifts from a highly evolved civilization, offer all who dare to truly remember who they are, a heightened sense of awareness, expanded consciousness, opening to thee Angelic Realm and ultimately the Cosmos beyond our knowing. Rubellite, also known as Pink Tourmaline, is highly recognized for its soft yet powerful light pink vibrational frequency. It is one of the three Trinity Stones linking heart, body and mind, one with the other. Its color ranges from light pink to a deep rosy-red. The mind creates thoughts. Emotions create thoughts. Thoughts create emotions. Use the Trinity Stones, Rose Quartz, Kunzite and Pink Tourmaline to integrate and align your entire Be-ing, balancing your energy on multiple levels individually and ultimately, creating simultaneous alignment from within. Pink Tourmaline works with and integrates your higher Spiritual Chakra energy centers with your physical awareness, the lower physical body energy centers. It will assist you in balancing male-female energy, the yin yang pull of duality within the physical realm. It enhances communication between the Realm of Spirit and that of the conscious mind, igniting intuitively received guidance, psychic awareness, expanding a sense of Mysticism. 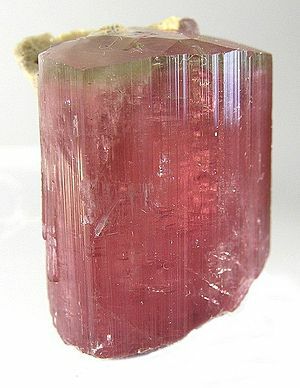 Rubellite may be used to heal relationships between friends, family and between lovers. Are you willing to release the past? This crystalline stone will, if you are willing to be complete honest with you, will reach deep within your emotional energy body, cleansing and healing in all directions of time and space. Be willing to release you from reliving, re-playing old emotional tapes causing additional pain and suffering. Place Pink Tourmaline on your Heart Chakra during meditation to encourage emotional healing, reaching beneath superficial layers, dissolving patterns of defensive behavior which no longer serves you. It may also be worn as a pendant close to the Heart energy center. When used during healing sessions, it will enable the healer to become a better listener, expressing compassion rather than sympathy. It also encourages active listening, focusing on what is being said during a healing session, opening the healer the Spiritual Realm through the Heart Chakra radiating unconditional love and acceptance. Working with this incredible, yet delicately structured crystal, you will begin to accept that it is once again safe to open your heart to love, trusting your sense of oneness with your Divine Self.